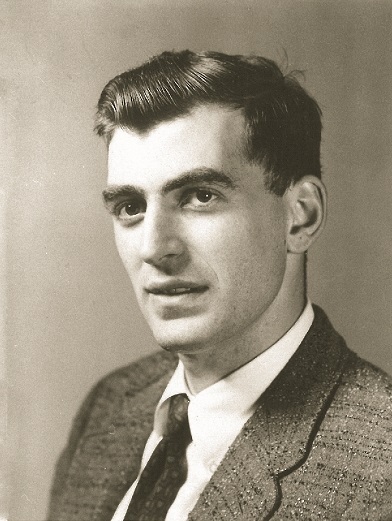 George J. Fuld in 1966, at that time already well known as a Civil War token expert. In the early 1940s, young George J. Fuld was first bitten by the coin-collecting bug (as were many other Americans, during a boom in hobby interest that started in the Great Depression). His conversations with two collectors at the 1947 American Numismatic Association convention sparked a lifelong interest in an unusual and intriguing field: that of Civil War tokens. At the time, these tokens were mentioned—but just barely—in the Guide Book of United States Coins, Whitman Publishing’s retail price catalog and numismatic history book. First published in 1946, the Guide Book quickly became the most popular annual reference in the hobby, and its contents carried great weight. Inclusion in the so-called “Red Book” meant a die variety or a series was part of the established numismatic world. Civil War tokens made the grade, but without much fanfare, being tucked into a few sentences on page 250 (of 256). That was the extent of the overview in the earliest editions of the Red Book. By the 1960s, with a new boom of interest in all things numismatic, that coverage would be expanded with more narrative and a type-table list of values by metallic composition. In the meantime, in the 1950s, when Q. David Bowers was just getting started as a numismatic force of nature, the hobby’s literature on Civil War tokens was still thinner than Abraham Lincoln, and nowhere near as tall—though just as fascinating. Bowers recalls how his education in the field came from a single volume published more than 30 years earlier (Civil War Tokens and Tradesmen’s Cards, by George Hetrich and Julius Guttag, 1924), plus the occasional article in The Numismatist and other periodicals, auction-lot descriptions, and, importantly, the personal guidance of hobby mentors. 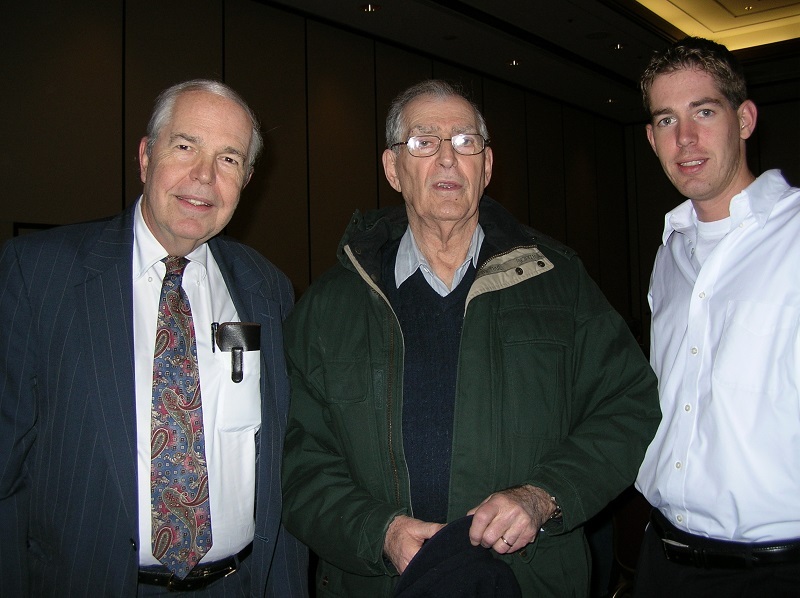 Q. David Bowers, George J. Fuld, and Andrew Bowers, 2005. Among the latter Bowers counted the research team of Fuld and Fuld—son George J. and his father Melvin, by that time well established as experts in the field. Young George had grown up from student to teacher, and he and his father researched and wrote about Civil War tokens through the 1950s. In the early 1960s the Fulds brought into the world the books Patriotic Civil War Tokens and U.S. Civil War Store Cards, produced by Whitman Publishing. Research into Civil War tokens continued, along with the study of encased postage stamps, Confederate currency, and other aspects of wartime money. Numismatists published articles in Numismatic News, Coin World, and other popular periodicals. Over the years the standard references by the Fulds were updated and revised in various new editions. Bowers wrote his first book, Coins and Collectors, in 1964. It would be the first of many dozens—most of them best-sellers and standard references. The Civil War Token Society was chartered in 1967. With it, researchers such as Fred L. Reed gained a new “headquarters” for their work in the field, in particular in the publication of the society’s Journal. Bowers continued to be a major contributor to research and writing, for the Society and in other venues, while building a huge personal collection of Civil War tokens and buying and selling for his coin-dealership retail customers. 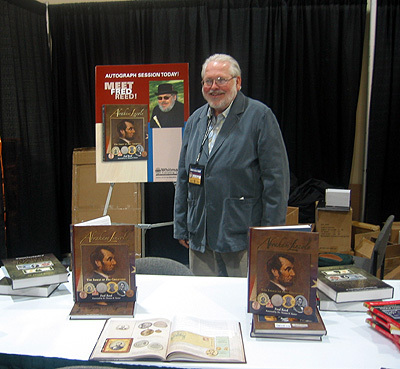 Fred L. Reed with his first book on Abraham Lincoln in numismatics, Abraham Lincoln: The Image of His Greatness, at the 2010 ANA World’s Fair of Money. I started my work as publisher at Whitman Publishing in 2004. Civil War tokens were always close to the front burner. Bowers was by then Whitman’s numismatic director, and on the cusp of helping launch a modern renaissance in numismatic research and publishing. Still, the Red Book’s coverage of Civil War tokens (less than a full page) was not much more extensive than it had been in the 1960s, although with new color photography and more in-depth pricing. We worked quickly to expand this coverage. By 2006, with the 60th edition (cover date of 2007), we had three pages including nearly a full page of history, some three dozen color photographs, and pricing for types (by metal), plus a sampling of patriotic and store card tokens (the latter priced by state, plus a dozen representative varieties) in four grades from Very Good to Mint State. In October 2007 we published 100 Greatest American Medals and Tokens (by Bowers and Katherine Jaeger), a book that featured Civil War tokens prominently. And in June 2008 we published the Guide Book of United States Tokens and Medals, by Jaeger, which included an entire chapter on Civil War tokens. It was in the fall and winter of 2008 that we first started seriously discussing a full-length book devoted entirely to Civil War tokens. We knew this would be a massive undertaking, but we were inspired by exciting developments within the Civil War Token Society. Dave saw a Whitman book on Civil War tokens as “a magnificent idea” and he would later recall how he “jumped at the chance” to be its author. Earnest work on the Whitman book would not begin until June of 2012—but once it began, it barreled ahead in full Bowers style, with the Sage of Wolfeboro pulling together his impressive personal archives, marshalling assistance from across the hobby community, and writing, writing, writing. He delivered the fully written manuscript, with thousands of photographs, before the end of that October—a herculean accomplishment in four months. After editing, layout, and printing, the book debuted at the American Numismatic Association World’s Fair of Money in August 2013. It was an immediate hit. The first print run of the first edition sold out within four months and was followed by additional printings. We released an expanded and updated second edition in December 2014. Now, in 2018, the book has again been updated and improved, in a third edition that will be available in October. Our hope is that it will inspire another generation of collectors and researchers. The updated and revised third edition of the Guide Book of Civil War Tokens will debut in October 2018.